Rotante teaser per spinning al siluro. 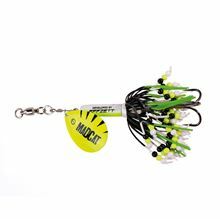 Dam Madcat Rattlin Teaser Spinner, cucchiaio rotante specifico da siluro. 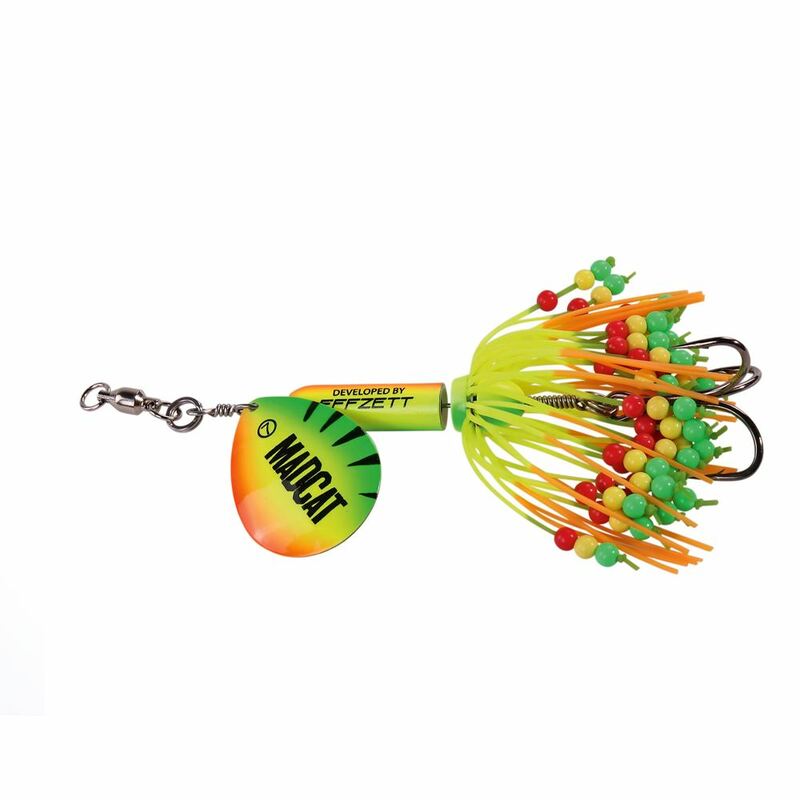 Produce un rumore incredibile in acqua grazie allo skirt con perline che sbattono sul metallo, dando vita ad un suono notevole, molto facilmente individuabile dal siluro. Montato con componeti ad altissima resistenza, a prova di fili trecciati. Indicato anche per pesca del luccio e per traina. 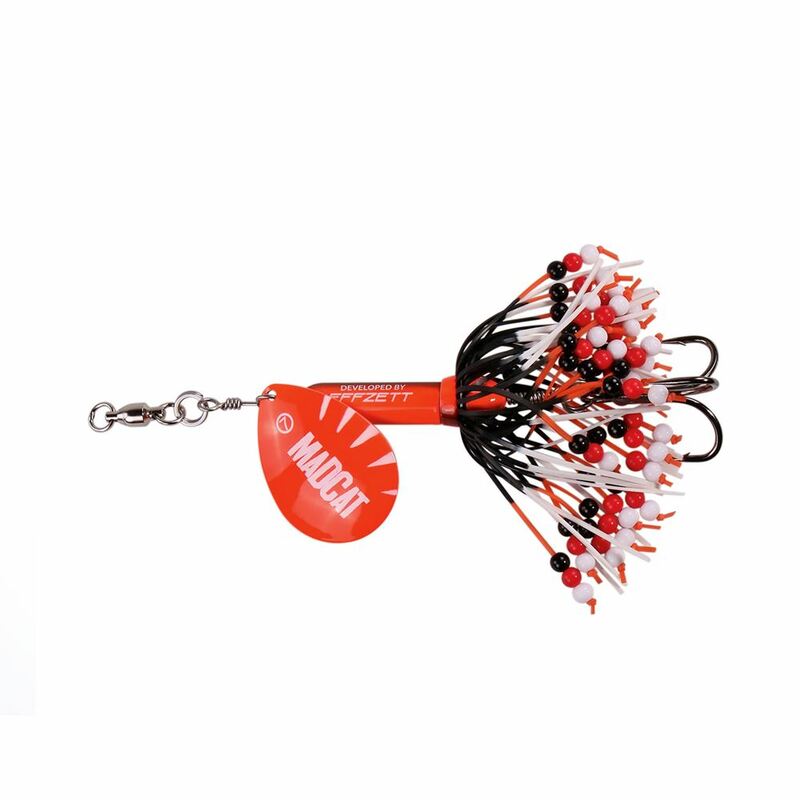 A series of six unique catfish / wels spinners with a rattling body and a skirt with beads.There’s no doubt that this is the ultimate catfish lure. 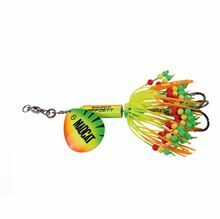 It will attract attention from great distance because of pressure waves caused by the spinner blade, the rattling body and – last but not least – the ticking beads. Because of the weight (about 90g) and the position of the lead, the angler will be able to effortlessly cast extreme distances. 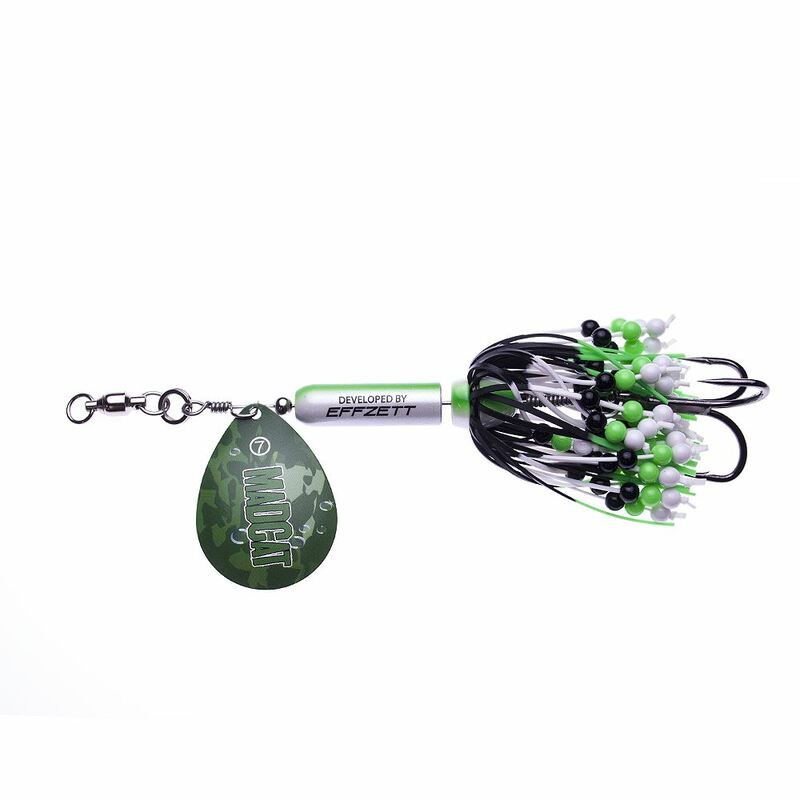 Only top quality and ultra-strong components are used, including an extremely sharp treble.